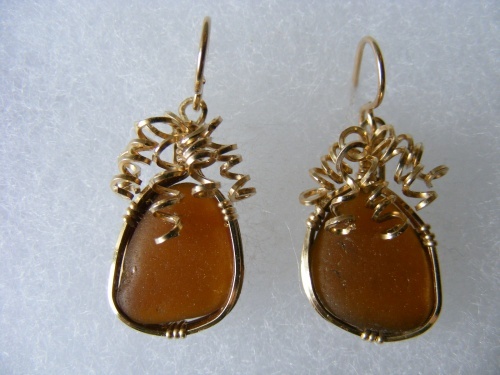 This pair of earrings is sculpted with gold filled wire curls. So pretty when worn and have a story from the sea. Measure 1" from top to bottom of piece and are on french hook gold filled wires.